Good article with proper representation of data. Interesting comparisons too. These comparisons make me think that if Scotland had decided to separate from the United Kingdom, they wouldn’t be in that bad a situation after all. 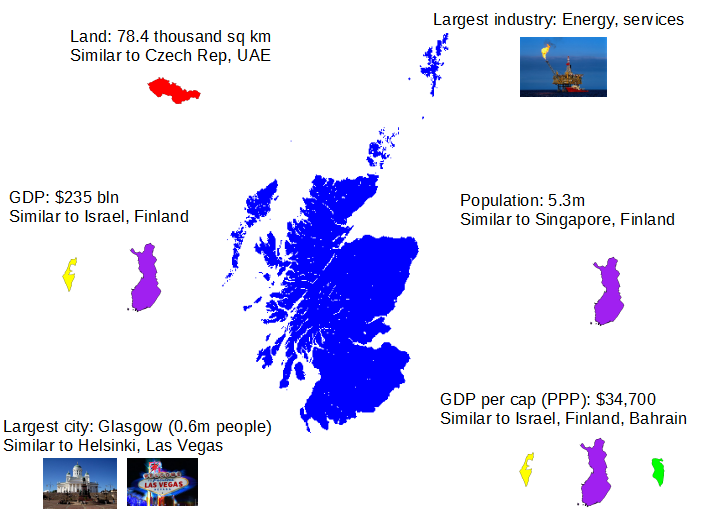 I think the media over emphasised on the glory of the United Kingdom instead of Scotland’s individuality. Thanks, Khuddoos! To be fair, I would have probably voted to stay in the UK, but a part of me was curious to see how a new country would impact geopolitics in Europe.